The one thing we know is special about Corpdata is the quality of the marketing information we provide. For over 20 years we have been painstakingly researching and re-researching information from companies and organisations throughout the UK to ensure we continue to offer not just up to date and correctly named contacts but also the detailed information which allow any data selection to better fit the campaign you are planning. We are also pleased to internationalise our team by welcoming a French business student to our team. Pauline is an undergraduate business student at the IUT of Brest in France, spending the summer gaining insight into UK direct marketing and wider aspects of management, and improve her English at the same time. Hopefully she will return home with a better understanding of Corpdata, leave us with a useful take on the direct marketing sector in France and as a bonus, take with her a Devon accent! One component of her project work is to report on how French marketing lists are sourced, selected and delivered to French businesses; and to explore if there is some aspect of the French process which we might adopt to give added value to our clients. We are looking forward to the Thames Valley Business & Community Expo, which will be held at Windsor Racecourse on Thursday 12th June. Lots of exhibitors and visitors are expected to attend, if you are in the area, why not pop along and say hello. We are already wondering is a famous local resident might show her face? Corpdata are again sponsors of ‘Intrinity’. Following the successful inaugural event at Plymouth the second Intrinity business network event is to be held at the Bournemouth International Centre on Thursday 19th June. With lots of exhibitors and the expectation of hundreds of visitors it should be a productive day and give everyone attending the chance to make some useful contacts. 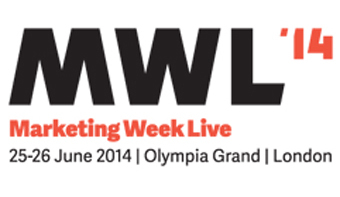 After a successful TFM&A our eyes turns to London Olympia, on June 25th and 26th the venue for this year’s Marketing Week Live. One of the industries must go to exhibitions again split into four zones; Understand, Engage, Experience and Convert - lots to see and learn, and people to meet. If you are intending to visit click here to register and if you do make it we look forward to seeing you on stand A383. All day every day our research team telephone companies to identify business contacts and the organisations they work in. Every call places a significant emphasis on identifying who is responsible for a particular function or activity, to identify who actually makes the buying decision for anything from cars to copiers. We identify both decision making contacts and their job titles. This simple process gives our clients extra choice. A first thought about how to pick your best prospect might be to favour just selecting the right job titled contacts – certainly most list providers only offer this facility and as a result that’s what many people are used to. However, for many marketing projects using the decisions makers might provide a larger reservoir of data available, and even a better response rate from the prospects used. The fact is that if you were hoping to sell IT equipment, the IT Job Titles will be expanded with a host of other professionals (Finance Managers, Facilities Managers etc who our research suggests are responsible for IT) is obviously going to produce the larger reservoir of data, and interestingly though these less specialised contacts might currently have no idea that your products and services are available, they might be surprised and excited by the possible benefits they can bring. Even if you consider that for your products and services they are no more or less likely to feel positive than any other IT professional – because most other list providers cant offer the choice of, and provide data in this way - many of your competitors that haven't discovered Corpdata are not able to target them . . . So your message is less likely to be swamped by many other similar messages on the same day, thus your message is likely to have more impact and command more consideration and ultimately deliver an improved Return on your total marketing investment. Ultimately a lot depends on the trust you place in your data supplier. The point being made isn’t just a convenient way of selling a bigger list! The point being made is that the best list is the result of a clear understanding between us about what you as a client are trying to do, what in your view works and won’t work, contacts we might be able to identify which will allow the campaign to deliver a good return –the latter is what it’s all about.